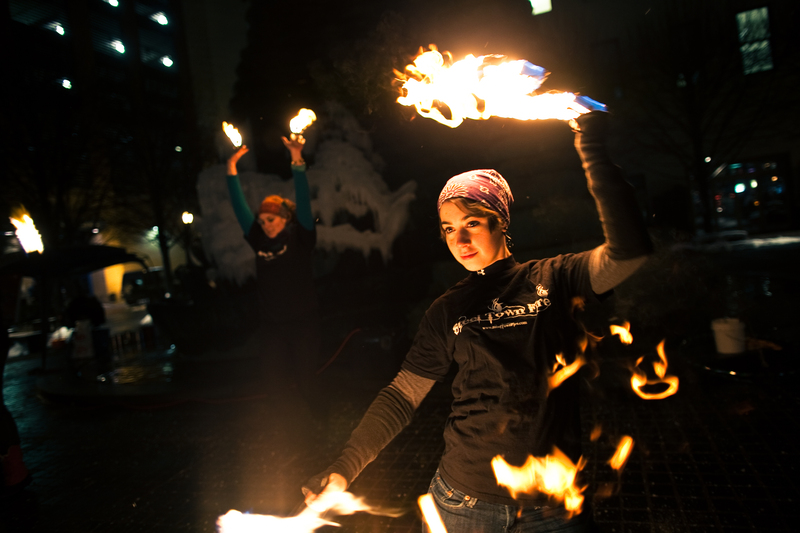 Joanna Drummond, a recent graduate from the University of Pittsburgh, first started learning poi from Jackie Summer of 2008, when she learned that object manipulation didn’t necessarily involve catching things. She quickly progressed and started burning that same summer. When Joanna got a pair of Fire Fans in her hands, she knew her prop of choice–and has been expanding her repertoire since. In addition to poi and fans, Joanna also performs with fire hula hoop. When not playing with fire, Joanna can also be seen performing with local chamber choirs.